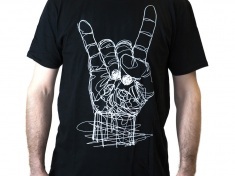 New Rock T-shirt in black is now available. Handmade in Slovenia from real leather. Delivery could take longer.